Conveniently perched atop Chelsea overlooking the iconic Barney's Building in the full service Campiello Collection Condominium, with close to 80 feet of south-facing, sun-bathed frontage, this impressively proportioned 3-bedroom penthouse is offered for sale for the first time since the building was completed in 2002. The elevator doors open into a private entry gallery with security doors. 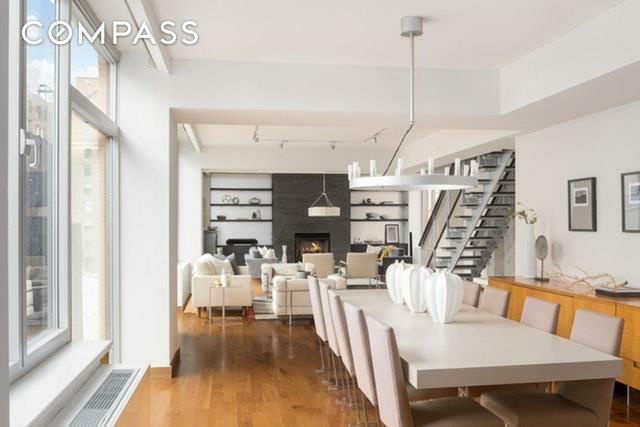 Turn the corner and immediately you are presented with the expansive living room with a fireplace, that spans over 57 feet with floor to ceiling windows affording charming open views and exceptional light all day. An adjoining dining room/area expands this living space to make for extraordinary entertaining possibilities. The extra-large Poggenpohl kitchen features and abundance of counter space, double ovens, a Bosch 5-burner stove and dishwasher, Sub-Zero fridge and separate under-island wine-cooler. A dramatic stairway leads upstairs to the breathtaking terrace, that takes the amazing entertaining possibilities to an entirely new level.The bedrooms are located at the opposite end of the apartment with super-quiet, yet bright exposures through equally large windows. The large master bedroom suite, featuring a superb walk-in closet, custom built storage, and an en-suite Calacatta marble bathroom featuring double vanities, a large walk-in shower and separate soaking tub. There are two additional bedrooms (although one has been converted into a spectacular walk-in closet) and bathrooms, one en suite. 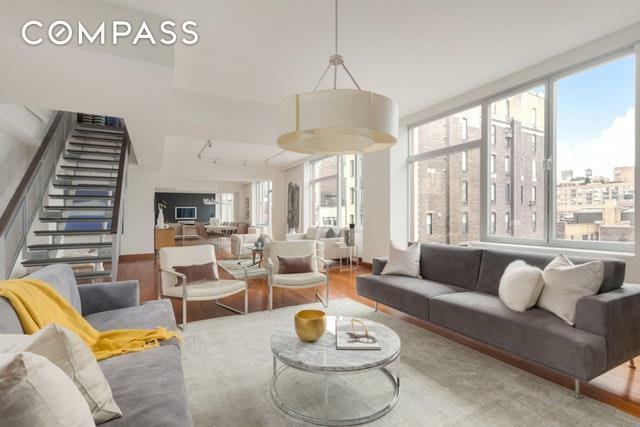 The apartment also features a Bosch washer/dryer.Centrally located across the tree-lined street from the Rubin Museum and Barney's, 151 West 17th comprises two structures spanning from 17th to 18th Streets, offering a full-doorman located in the elegant lobby that is exposed to a tranquil landscaped viewing garden. An alternative entrance/exit is located on 18th Street. 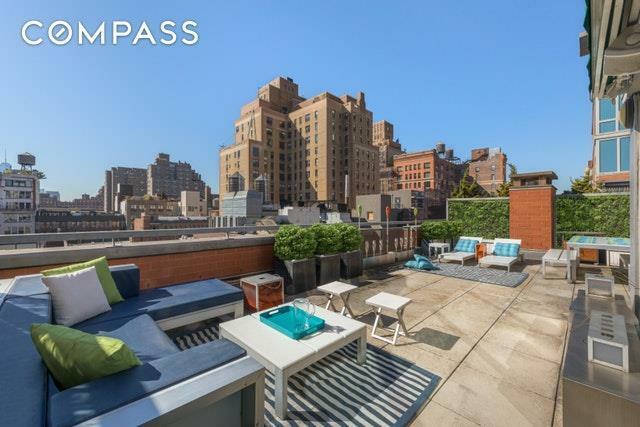 Amenities include a well equipped gym with natural daylight and two common outdoor areas. 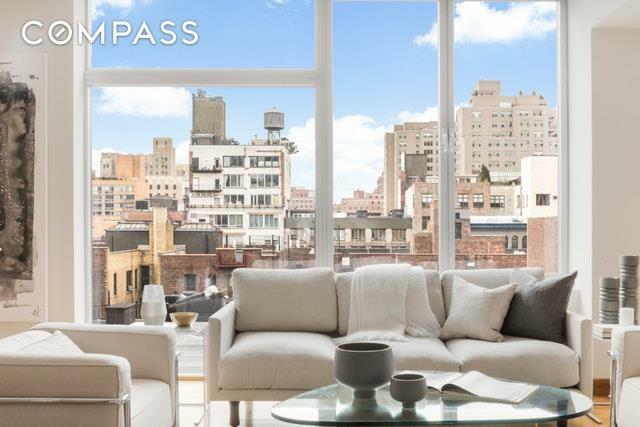 This Central Chelsea location offers easy access to a multitude of outstanding restaurants, all transportation options and close proximity to everything from the New Whitney Museum, the Meatpacking District, the Chelsea Arts District and Greenwich Village to Union Square and the Theatre District.